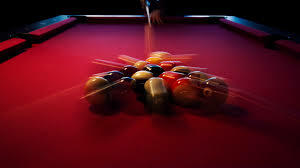 A $500 added two day Bar-Table Eight-Ball tournament will run along side the Invitational. Pros are prohibited rom playing in this event. The entry fee is $65. There are no green fees. Payouts are 100% plus an added $500. The Schofield format will be used whereas the qualifying rounds are quadruple elimination. Players advance to a single elimination Championship Bracket. Races are 3-3-2-2 & 5. Other features are a traditional 100% payback Calcutta and a 15 ball Rotation Break & Run. The players meeting commences at 4:00 Friday afternoon. Finals are expected to start around 8:00 Saturday night. Visit the links below to view the flyer in detail and to enter using Paypal.